A great introduction film of Dinara Mirtalipova, alias Mirdinara. 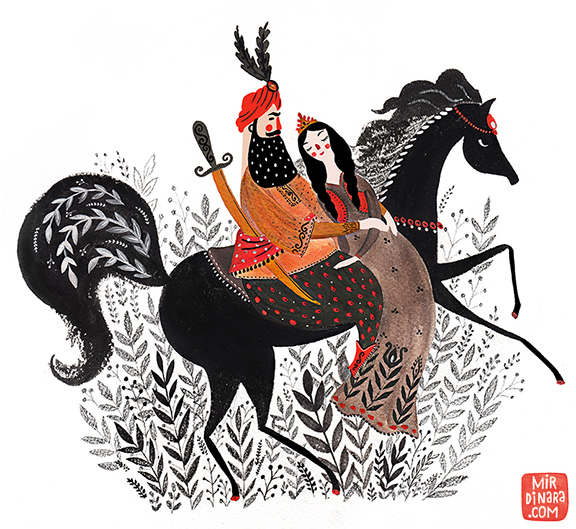 She’s an illustrator from Uzbekistan, living in Ohio, USA, and makes beautiful Uzbek/Russian folklore inspired illustrations and patterns (info found on her website). In one of Flow Magazine‘s earlier issues I stumbled upon her work and it got my attention right away. This month’s Flow Special is about illustration and they shared this movie (made by her sister Aziza Mirtalipova). 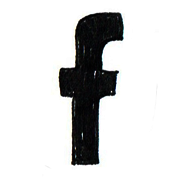 So thanks for that! 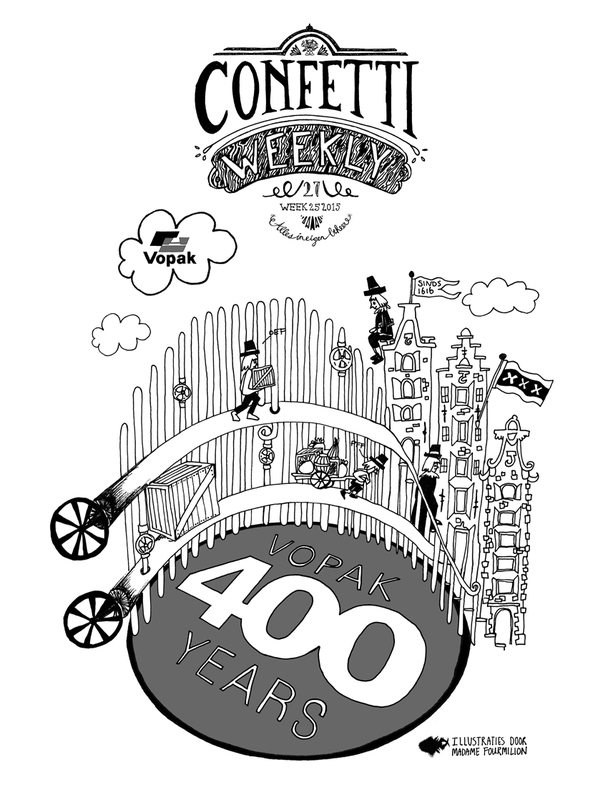 Last week Confetti did a nice job for VOPAKs big 400-YEARS-of-existence-party. They are the world’s largest independent tank terminal operator with almost 400 years of experience in storage and transshipment (quoted from their website).